Recipes also came from the Orang Asli communities. HER eyes glisten. Her voice drops. Tunku Azizah Aminah Maimunah Iskandariah swipes the screen of her handphone with her index finger, looking for the foreword she wrote about her father, where she pays tribute to Almarhum Sultan Iskandar of Johor, for the life lessons he imparted and also for nurturing her love for cooking and food. She reads an excerpt from it. “Bah told me to learn to cook. He said, “if Azizah doesn’t know how to cook, how would she know if her cooks are not doing it right?” confides Tunku Azizah, recalling one of the reminders that her late father, whom she addresses fondly as ‘Bah’, gave when she was young. Tunku Azizah, who’s the Tengku Puan Pahang, started to “learn” how to cook at the tender age of six. “I was manja with my nanny, Mak Namah, and spent more of my time with her in the kitchen. I guess that’s when I started my cooking lessons,” she quips. At the age of 12, she cooked roast turkey with chestnut stuffing for the family. At 13, she was tasked by her mother, Sultanah Zanariah, with the baking of the Johor palace’s special fruitcakes and Raya cookies. By the time she was 16, she was handling the palace’s barbecues for up to 500 people. “I wasn’t forced to do it. I enjoyed it,” she says. Tunku Azizah never had any formal chef training although she wished she had. She loved to watch the cooking channels on television. While waiting for the Form Five examination results, Almarhum Sultan Iskandar sent her to the teachers’ training college, Maktab Perguruan Temenggong Ibrahim, of which he was the patron, to learn how to cook. Tunku Azizah personally tests and reviews all the recipes. If there’s one thing that she does really well, it’s sambal belacan. Just ask her friends. In fact, her sambal belacan was also a firm favourite of Singapore’s former Prime Minister, the late Lee Kuan Yew. Smiling, Tunku Azizah recalls: “Lee had written to my father about me but Almarhum never told me. Three days before he passed away, he told my mother that Lee wrote to him. 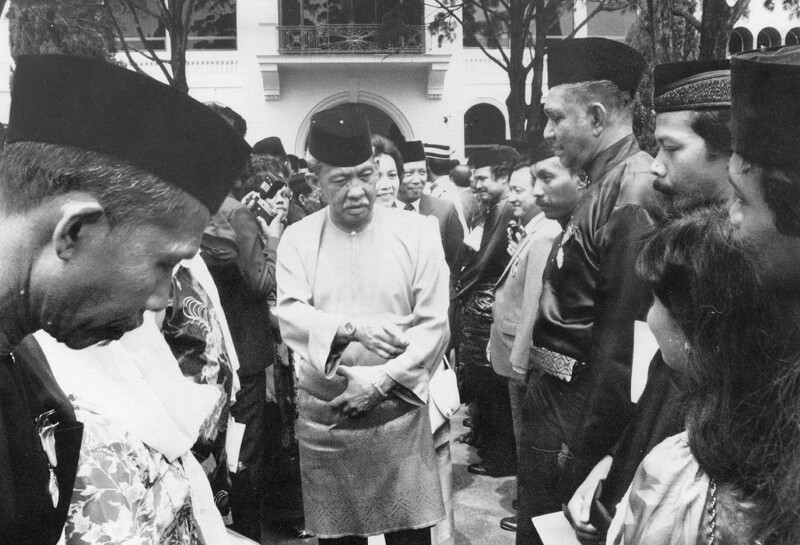 Then Lee wrote to me.” It seems that Tunku Azizah had sent him 21 jars of the sambal belacan along with other local sambal. And when her children are home from abroad, her dining table will heave with at least six dishes and her children’s favourites. Her husband, The Regent of Pahang, Tengku Abdullah Sultan Ahmad Shah, also prefers home-cooked dishes. “He’d tell me that he wouldn’t want to go out as there’s good food at home,” she confides. In fact, shares Tunku Azizah, her husband would sometimes eat at home first before going for an event or make sure that some food is left for him to eat when he gets home. “It warms the heart, you know, when your husband and your children tell you that they like your cooking,” says Tunku Azizah, beaming with pride. And Tunku Azizah wouldn’t want to be brought up in any other way. “To have been entrusted with the opportunity to prepare feasts and banquets for the palace guests regardless of who they are has led to my love of cooking and me striving to always be the perfect host and provide the very best,” confides Tunku Azizah, smiling. Tunku Azizah started collecting recipes at a young age. The old recipe books, some of which are torn and tattered, are kept safe in ziplock bags. “I started collecting recipes and recipe books since I was 9. I make it a point to write down these recipes,” she shares. Another of her own will today be added onto the book shelf. 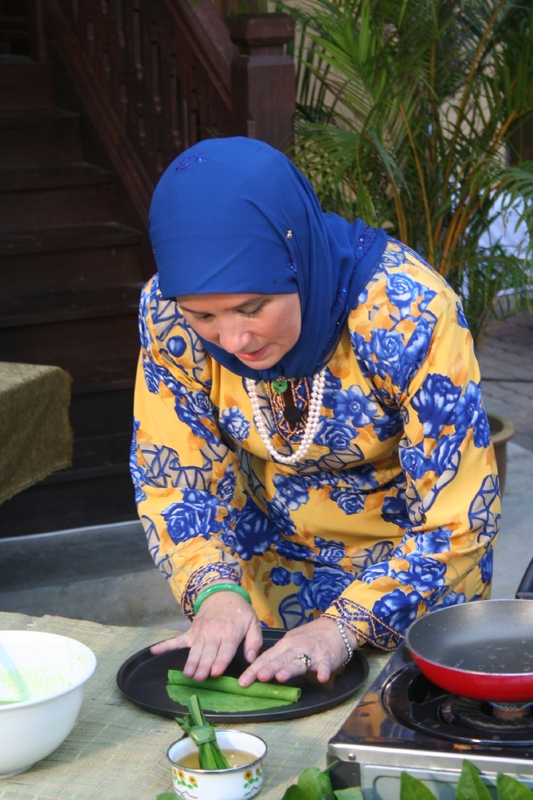 Her second cookbook, Air Tangan Tengku Puan Pahang — Manisan Tradisional Pahang is a compilation of dessert recipes from the 11 districts of Pahang. 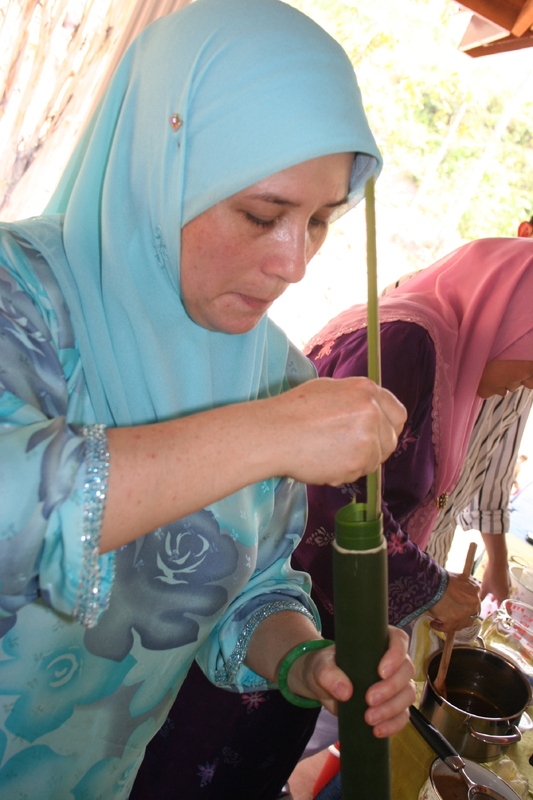 Her first book on local Pahang dishes was launched in 2005. A total of 5,000 copies were printed and sold. She started working on the second book in 2007 but it wasn’t until three years ago that she went full steam to complete it. The slow progress of the second book was caused by, among others, a neck pain that she suffered while cooking for flood victims, which saw her being admitted into hospital. Also, testing out the dessert recipes took longer than cooking the traditional dishes. Furthermore, the books were in Malay and English. Translating the recipes was time consuming. “But it was a little different for the desserts because making them took some time. We had to steam them and wait for them to cool before tasting. We’d test the same recipe again and again until we were satisfied. We’d be in one village for the entire day, starting from 8am and finishing until very late at night,” she adds. She brought her equipment on these trips to the villages such as measuring cups and spoons, whisks and steamers. “Traditional recipes are not like baking cakes which has a set formula. And the Malays especially cook or bake according to taste, not measured ingredients,” explains Tunku Azizah. “For the purpose of the book, we had to measure the ingredients. A cup used in Bentong, for example, may not be the same as the one used in Temerloh. So, we measured the contents of the different cups using our own measuring cup to get the exact amount,” she adds. The book is described by Tunku Azizah as a “One Malaysia” cookbook as she and her team had compiled recipes from the Malays, Chinese and Indian communities in Pahang and also the Orang Asli. It was also an educational trip for Tunku Azizah as she not only learned about the ingredients used in traditional dishes and desserts, she also gained cooking tips from the womenfolk in the villages. These tips are also included in the books. It took Tunku Azizah and her team a year to collect the recipes, with the last three years spent translating and editing the content. In Kuala Lipis, for example, they lost the recipes and had to go through the entire process of cooking and photographing the dishes and desserts again. On what she gets out of this ‘exercise’, Tunku Azizah confides that it’s the satisfaction of knowing that she’s compiling these traditional recipes for the future generation. “We’ve had a lot of fun doing this, especially going all over Pahang to look for recipes. I learnt so much from the people, about the food, cooking tips and about life itself. It’s a very warm and heart rendering experience,” she admits. Tunku Azizah is already planning her next book — food served in the Johor palace. She already has some 600 recipes in her collection already. “It reminds me of Coomb Hill,” she says, referring to the old palace in Johor Baru where she grew up. And no, it will not take another 10 years for her to do this one although she concedes that it might take some time as she wants it to be a step-by-step guide to cooking these dishes. “I also want to share these recipes with my siblings. Even my brother (the Sultan of Johor) doesn’t know it,” concludes Tunku Azizah, a mischievous glint in her eyes.